Thank you for your comments about my pictures. As a response to this honour I've uploaded more pictures to Commons. 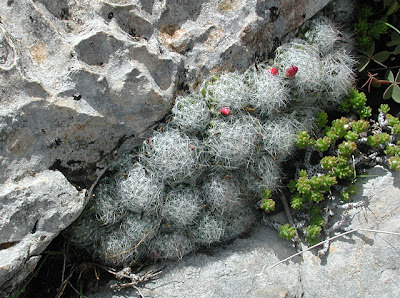 Thanks a lot for sharing (I probably can't resist using a couple of the new photos ;-) - are you living in Mexico? Yes, I'm actually mexican. Thank you again for your words, and feel free to use the images as you wish. HI! this is a very good link! 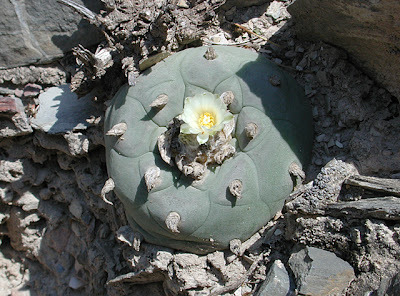 I like very much lophophora plants, and I have some of theme: will.caespitosa and other old plants that I don't know if they are williamsii or fricii or other. In my country, a crazy State named Italy, this cultivation is not legal and not permited.. very crazy country! 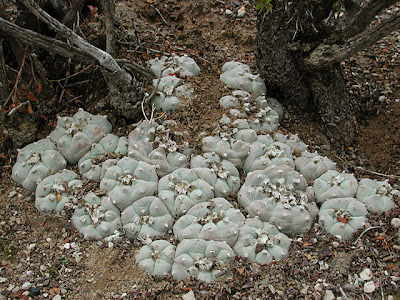 A question: the variegated lophophora produce seeds? Somebodies can help me to search lophohpora jourdaniana fricii diffusa seeds? Ps: the mexican photos are good! 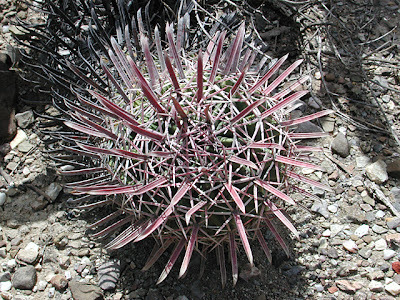 Jack, variegated Lophophora will flower and set seeds but I wouldn't expect variegation to be an inheritable trait (anybody have experience with/knowledge about this?). 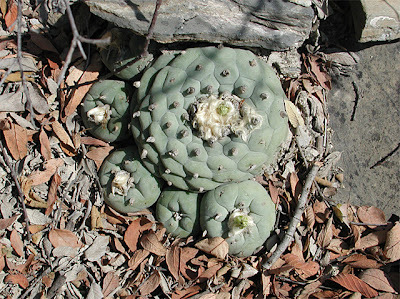 You can check the seed and plant retailers page, if you are looking for Lophophora seeds in general.